Interior design is a world of ever-changing trends, and keeping up to date on what is hot and what is going out of style can be exhausting. Fortunately, we have seen a lot of home interiors and can give you some insight on what is trending. 2019 is sure to be a year filled with creativity, especially as it pertains to interior design. The best way to ensure you are happy with the design of your house is to choose something you will love yourself, rather than finding the most popular design at the time and decorating your house accordingly. However, there are some trends that are unique, creative and perhaps revolutionary that are sure to become increasingly popular in 2019. A minimalist, eco-friendly and Japandi style design are three design options that can transform a home and give a unique look to any home in 2019. Taking a minimalist approach to a home is a trend that has grown over the past few years. 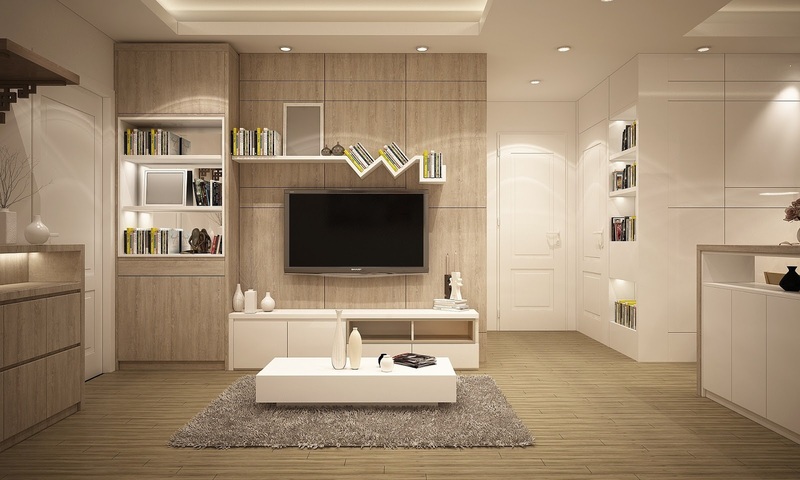 In some cases, less really does mean more, and decorating your home with a minimalist approach can really make your home look more modern and extremely spacious. The key to a great minimalist design is to have a purpose for every item in every room. While there may be less to decorate, each decision you make as to what each room in the home will include is a big decision as the item is likely to stand out. In other words, contrary to popular belief, a minimalist approach actually takes a lot of creativity. Be sure to choose light colors, multi-purpose furniture and only leave the necessities on bookcases, and you are well on your way to creating a beautiful home that is sure to stay ahead of the game in 2019. Providing your home with a more natural look is almost always a good idea, and there is not a better way of doing so than to make it more eco-friendly, which includes adding beautiful, colorful plants and more naturally-looking decor items to decorate your home. Utilizing plants to decorate the interior of a home is a style that has died out over the past decade, and it is expected to make a huge comeback in 2019. Not only does a more eco-friendly provide a natural, colorful look to a home, but plants provide fantastic health benefits as well. What if I were to tell you that there is an interior design style that combines the best parts of minimalism and eco-friendliness into one? Well, fortunately, there is, and you can count on it becoming a huge interior design trend in 2019. Japandi combines the best aspects of interior design between two highly contrasting ideas. Japandi tends to have a more simplistic appearance, but it still provides enough decoration to add the necessary eco-friendly components, such as plants and other environmental aspects. Japandi – which is mainly a combination between Scandinavian and Japanese culture – is an aesthetically beautiful design, a great way to save money on interior design and certain to be a big deal in 2019.